California-born Allen French has always felt more connected to world cultures than his own environment. He channels distinct influences to create a multi-cultural musical journey, bringing a fresh spin to worldly sounds while retaining a timeless touch. 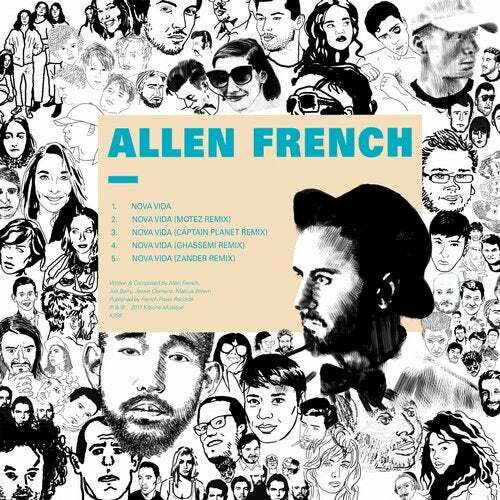 Each track tells another piece of the Allen French story, which is almost certainly set in a timeless southern France. His music spans a vibrant spectrum and urges its listeners to feel alive, a unique quality felt in his productions and sets. After a successful collaboration on music-meet-art digging channel Kitsune Hot Stream, the American producer collaborates once again with the Parisian label and unveils 4 exclusive remixes of his track Nova Vida. Listeners are invited to discover 4 club stunning interpretations of this world-influenced ballad, out July 21st on Kitsune.